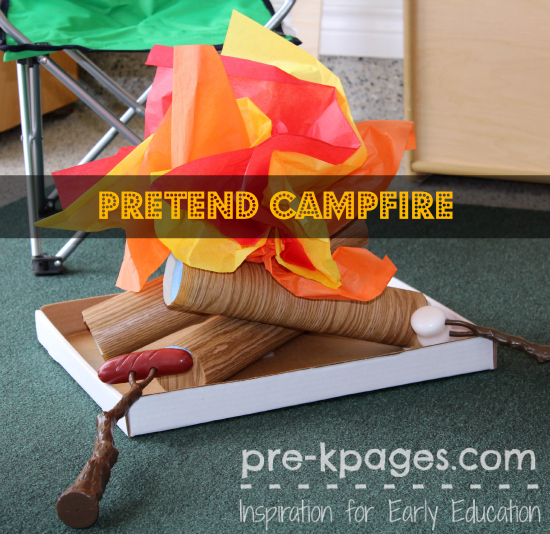 Having a pretend campfire is a must if you do a camping theme in your dramatic play center. 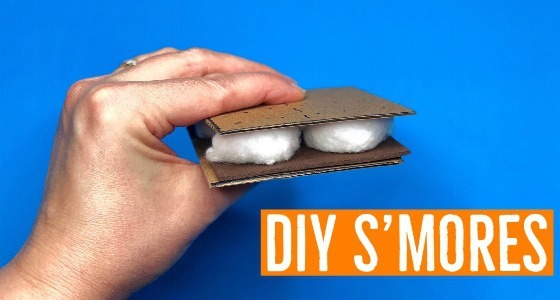 This is a quick and easy tutorial that will show you how to make a super cute, pretend campfire. 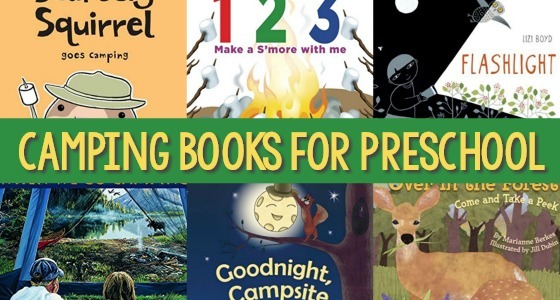 Your little campers will have a blast sitting around the campfire roasting pretend marshmallows and singing camp songs or telling ghost stories! 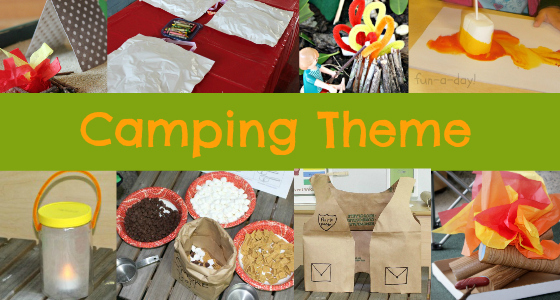 Here are the supplies you will need to make your own campfire for a pretend play camping theme. 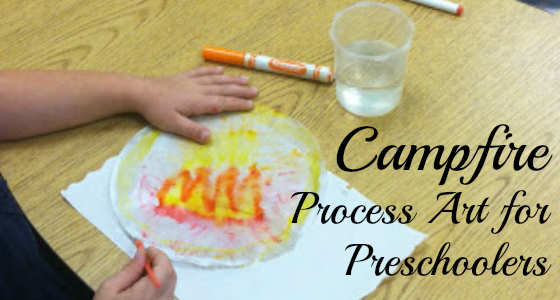 Here are the step-by-step directions for making your own pretend campfire. Step 1: Cut the pool noodle into four pieces using the scissors. Step 2: Cut the contact paper or construction paper to fit each “log” and attach. Step 3: Arrange the logs inside the box lid and tape in place. Step 4: Fold the tissue paper into a fire shape and tape in place. I found the pool noodle at the dollar store and I already had plenty of wood grain contact paper on hand from my Chicka Chicka project. 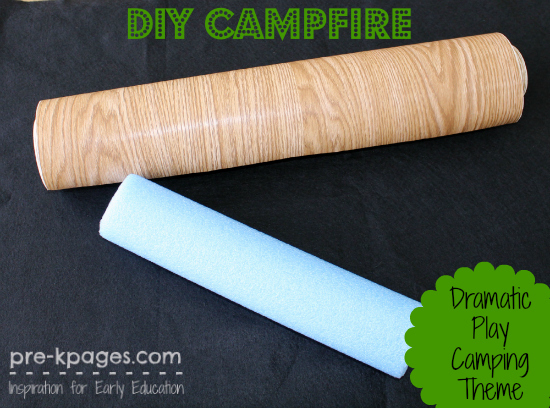 You could also use paper towel tubes to create the logs for your pretend campfire. 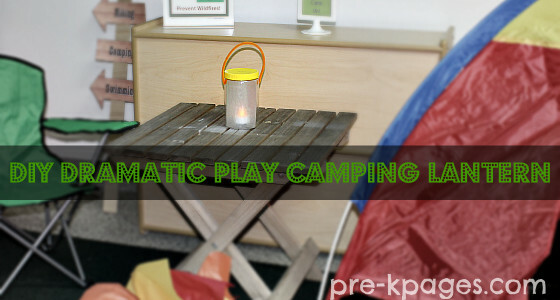 Click HERE for more dramatic play camping ideas, pictures and printables. This campfire is just in time for the Jewish holiday, Lag Ba’omer, which falls out on Sunday, 4/28/13! That’s great Helene, I’m so glad you will be able to use the idea! Thanks for letting me know. I LOVE this. Pool noodles – who would have thought! I have many of those taking up space in my garage. I love the dramatic play center. Pool noodles are everywhere right now and there are a million things you can do with them… oh, I feel a new pinterest board coming on! I love the logs. I’ve seen the noodles at our local Dollar Tree for $1 a piece. 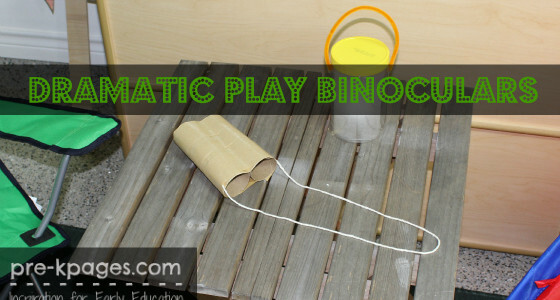 When I get around to doing this I may use the noodles and the paper towel tubes to give logs of different sizes. Thanks so much for the suggestion. That is a fantastic idea deedee, thanks for sharing!! My teachers assistant and I were just discussing doing a camping theme to go along with bugs. When I got home I was very excited to see this email and can’t wait to share all the great ideas with my assistant. 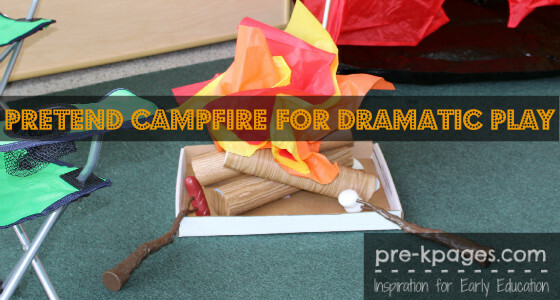 That’s great Debbie, I’m glad you can use the dramatic play camping theme in your classroom. Have fun! We have Rodeo Day every January here in Texas and this is perfect for our chuck wagon lunch. We sit around our “campfire” and eat hotdogs in tin pie pans. My logs were made out of paper and didn’t look as good. I like the pool noodle idea. Pool noodles are made for much more than swimming pools!! 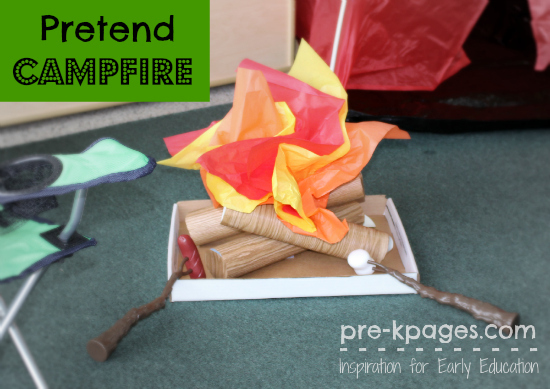 I LOVE dramatic play camping style, but I am the worst at making a campfire! Thanks for this great idea/tutorial! 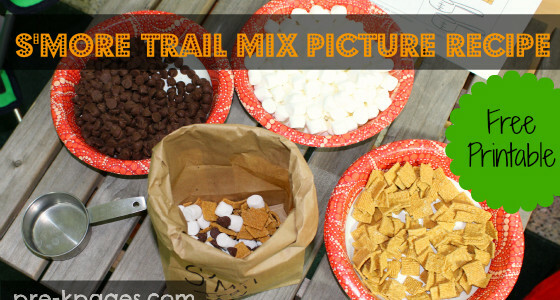 I also have these adorable s’mores makers that work great for a fun sequencing activity…my son LOVES them!